Come a day earlier before EPS and join a special pre-summit security masterclass! “Securing Transactions” is the theme of the 2018 European Payment Summit (EPS). Jointly, EPS and the INNOPAY Academy are offering a special dedicated Pre-Summit Security Masterclass to enable experts and professional practitioners to to really deep-learn essentials on cybersecurity. 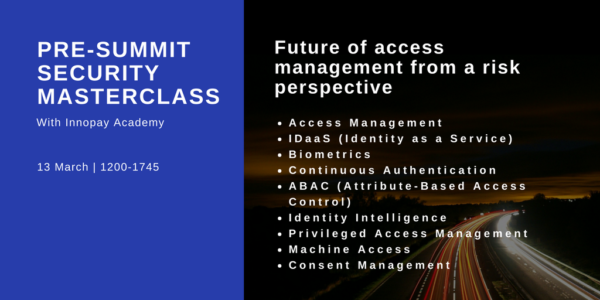 Participants will be updated on the latest techniques for access management and will learn how access management is an essential part of cybersecurity to reduce risk and secure transactions. As this will be a senior and highly interactive workshop, the number of delegates attending will be limited to a maximum of 35. A special combination fee for EPS 2018 and the Masterclass is available to ensure your time is well spent. 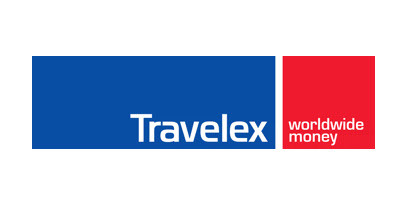 All fees exclude VAT but include lunch and refreshments.